When tablets were first introduced, people weren’t sure what to think. A few years later, the world collectively realized that tablets were a great way to pack most of the power of a laptop into an even more mobile package. The problem is, many tablet makers opt for large tablets to pack in more power and battery life. Our list of the best 7-inch tablets is designed to give you an idea of which tablets are top-of-the-line when it comes to different features such as battery life, performance, storage and camera quality. By the time you’ve finished reading this, you’ll be well on your way to choosing a great portable tablet. 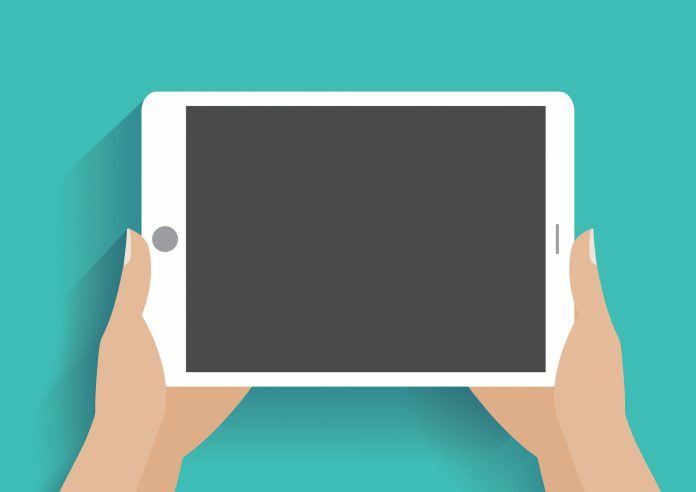 Are 7 inch tablets less powerful? 7 inch tablets may not be quite as powerful as their larger counterparts because they don’t have as much space for hardware, but you can still find 7 inch tablets with powerful quad-core processors and graphics cards that are capable of handling pretty much anything tablets are capable of. Are 7 inch tablets expensive? While the portability of a 7 inch tablet is a big selling point, especially when combined with the powerful hardware they have, you don’t have to spend a ton of money to get one. In fact, you can find 7-inch tablets for well under $100 that still perform well. What changes with 7 inch tablets? The screen size is the most obvious change from a larger tablet to a smaller one, but there are other changes too. The resolution will also be a bit lower on a smaller tablet, and the ppi is likely to be lower as well. In addition to that, a smaller battery will mean a shorter battery life despite having less powerful hardware. Who makes good 7 inch tablets? Shopping for a 7 inch tablet is a lot like shopping for any tablet. Aside from looking at particular features like the camera, processor, RAM, storage capacity and resolution of a tablet, you should also look for tablets from well-known brands like Acer, ASUS, Apple, Samsung and Microsoft. Buying from a well-reputed brand increases your odds of getting a quality product. When considering features in a 7 inch tablet, the most important thing is portability. Most people who buy smaller tablets are looking for something light and easy to carry around with them, so you need features that go along with that. Solid battery life is one of the most important features in a 7 inch tablet because these smaller tablets have smaller batteries that can’t hold as much of a charge as a larger one. We also looked at all the general tablet features when making this list, including camera quality, processing power, graphics processing power, storage capacity, price and more. Our star rating gives you a way to easily skim through the list to find the best models, so you can quickly find the perfect 7 inch tablet for your needs. Tablets vary a ton in price, and the same is true when it comes to 7 inch tablets. While you can find cheaper 7 inch tablets for as low as fifty dollars or so, you’ll have to spend hundreds to get a popular model like the Apple iPad Mini. 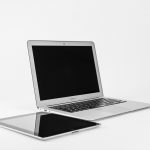 However, you should be able to save some money if you opt for a 7-inch tablet over a larger 10-inch or 12.9-inch tablet. When you opt for a more expensive 7 inch tablet, you’ll likely find improved features in essentially every area. High-end 7 inch tablets are more likely to have better cameras, long-lasting batteries, higher-quality displays and resolutions, more built-in storage and more storage expandability, as well as an increase in processing power. While these feature improvements aren’t necessary for every tablet user, you may want to consider spending a bit more if that’s what you’re looking for. 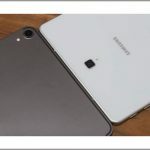 Despite the Samsung Galaxy Tab A being one of the best tablet lines on the market, you can pick up a powerful 7 inch version of the tablet for a very reasonable price. The Galaxy Tab A comes in black or white and features a quad-core processor. The bezel is a bit large which gives the tablet a slightly blocky look. You can buy this tablet from Best Buy or other Samsung retailers. 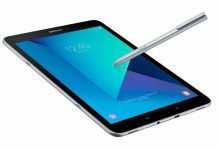 The Samsung Galaxy Tab A 7-inch comes with a one-year warranty. The Amazon Fire 7 inch tablet may be the best value on our entire list. You’ll only have to spend fifty dollars to get an 8 GB tablet with a sleek design and the Android operating system. Beautiful 7" IPS display and 1.3 GHz quad-core processor. Available in four colors. This tablet comes in multiple colors, so you can personalize it to your preferences. Its 1024 x 600 resolution is among the most disappointing you’ll find in a modern tablet. You can buy this tablet from Amazon or other websites like Best Buy and Newegg. Amazon provides a 90-day warranty on the Fire 7-inch tablet. 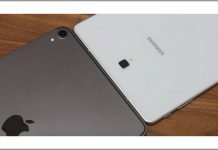 If you like the features of the Samsung Galaxy Tab A but don’t want to spend that much, a small downgrade to the Galaxy Tab E Lite will save you some cash without sacrificing too much performance. 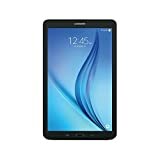 Low price for an 8 GB tablet from Samsung, a brand that’s known for its quality. The round shape and large bezel give this tablet sort of a cheap, kid’s tablet look. You can find this tablet anywhere that sells Samsung tablets. 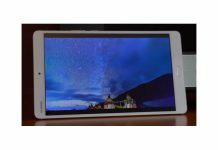 Samsung offers its standard one-year warranty on the Samsung Galaxy Tab E Lite. 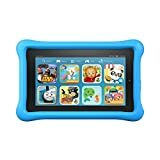 Tablets are a great way to keep your kids entertained while travelling or lounging, and the kid-friendly features of the Amazon Fire Kids Edition make it the perfect kid’s tablet. Not a toy, a full-featured Fire tablet with a 7" IPS display and front and rear cameras. 16 GB of internal storage. Add a microSD card for up to 200 GB of additional storage. This tablet comes in pink, blue and yellow so your kids can choose their favorite. The 1024 x 600 resolution isn’t great, even for a small kid’s tablet. 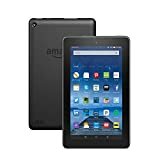 You can buy this tablet at Amazon or any other store that sells Fire tablets. Amazon provides a two-year warranty on parts and labor for this tablet. If money isn’t a problem and performance is paramount, there really is no 7 inch tablet on the market that can match the features of the Apple iPad Mini 4. Stunning design and tons of storage space will make you love this tablet. Since it’s an Apple product, the iPad Mini 4 won’t come cheap and neither will repairs. You can buy the Apple iPad Mini 4 from Apple. Apple provides a one-year limited warranty on your iPad Mini 4. This tablet might be a little bit pricey for the features you’re getting, but it’s still a nicely designed and very capable tablet with great software installed. 64 GB storage expandability gives you a cheap way to add storage to your MeMO Pad 7. This tablet is a tad bit expensive considering how old it is and the features it lacks. You can buy this tablet from Amazon and other retailers. ASUS provides a one-year warranty on the MeMO Pad 7. The LG G Pad V400 is far from the fanciest tablet on our list, but it provides great processing power in a less-than-1-pound package that makes it a solid option. This tablet weighs just 0.7 pounds so you can take it with you anywhere you go. Poor design and a high price make this somewhat of an afterthought compared to other 7 inch tablets. Your best shot at finding this tablet is an electronics store with older stock. LG offers a one-year warranty on this tablet. The Acer Iconia One 7 offers solid performance in an attractive package, and you’ll only have to spend about $80 to get one brand new. Windows 10 Home gives you more power than a mobile operating system. 1 GB of RAM and a 2 MP rear camera are both a bit disappointing. You can buy this tablet from Amazon and other authorized Acer retailers. Acer provides a one-year limited warranty on the Iconia One 7. For those whose top priority is finding a tablet that looks as great as it performs, there may be no better choice than the ASUS ZenPad 7. A sleek design and great display make this an absolutely stunning tablet to look at. The 1024 x 600 resolution of the display is disappointing for its quality otherwise. You can buy this tablet from numerous stores online, although you may have a hard time finding it new. ASUS offers its standard one-year warranty on this tablet. The Lenovo Tab 7 Essential is a solid choice if you’re looking for something lightweight and reliable that offers enough power to tackle your daily tasks. A quad-core processor and 1 GB of DDR4 RAM give you ample power for just about any basic task. The 2 MP camera on both the front and rear of the tablet won’t give you very good picture or video quality. You can buy this tablet directly from Lenovo or from numerous other retailers. Lenovo doesn’t provide warranty information about the Lenovo Tab 7 Essential. If you want the best tablet, you’ll rarely go wrong with a model from Samsung or Apple. If you’re looking for the best quality for a relatively low price, Acer, Lenovo and Amazon all make great tablets as well. As long as you stick to our list you shouldn’t have any problem finding a good tablet. Previous articleTablets With Keyboard: Which Product Is Best For Your Needs? Next articleReview Of The Naproxen 500 Mg Tablet: Is It Safe?